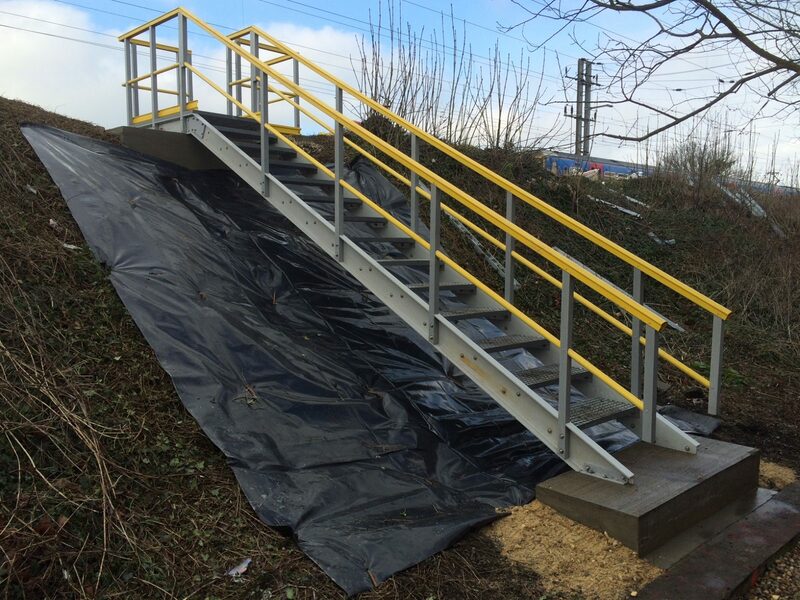 GRP embankment staircases for access. 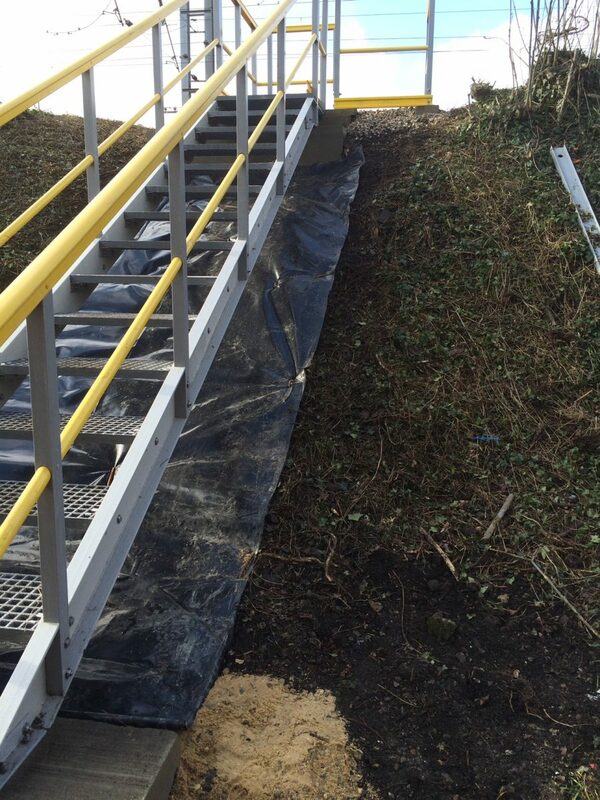 Fast installation for minimal downtime. 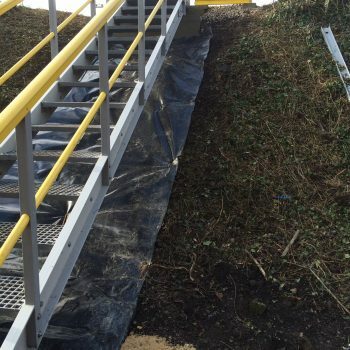 Our prefabricated embankment steps and staircases are the ideal, rapid fit permanent solution for maintenance access on hills, mounds and embankments. 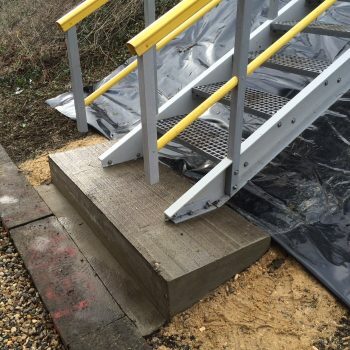 Made from GRP beams and GRP grating, they’re lightweight, anti-slip and long-lasting. 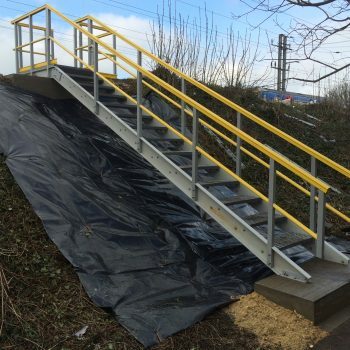 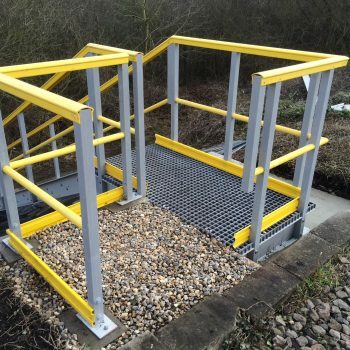 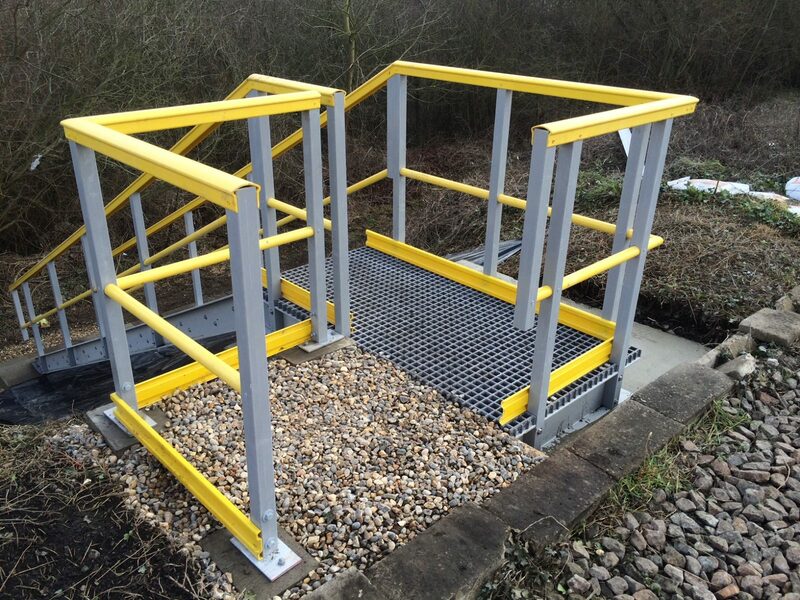 Our embankment staircases are the perfect replacement for end of life wooden or steel structures or on new build projects for railway or riverside locations. 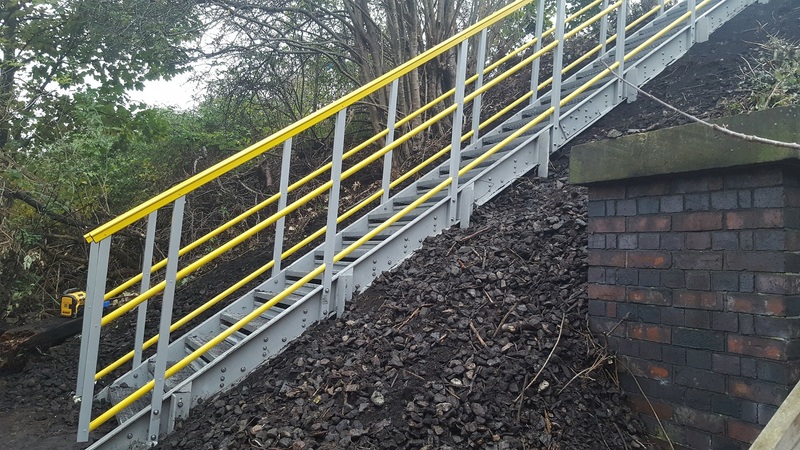 Fabricated using GRP gratings and pultruded sections, our embankment staircase structures are long lasting and maintenance free. 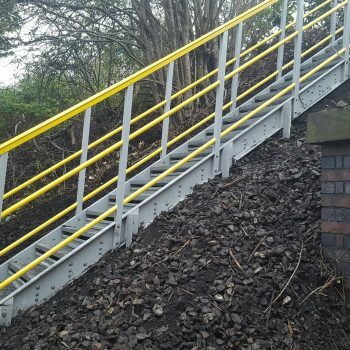 GRP grating steps are anti-slip and highlighted anti-slip stair nosings/stair edging can be added. 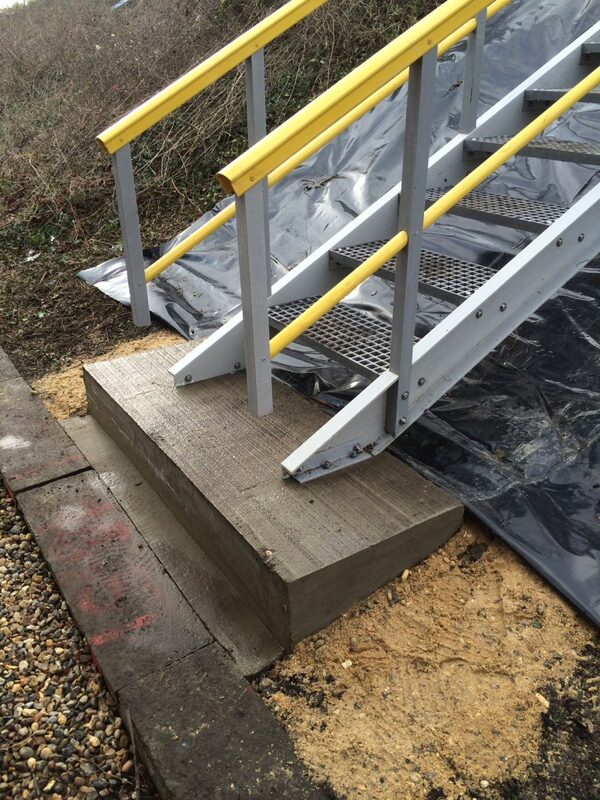 Such materials have a nil scrap value and are subsequently considerably less appealing to thieves. 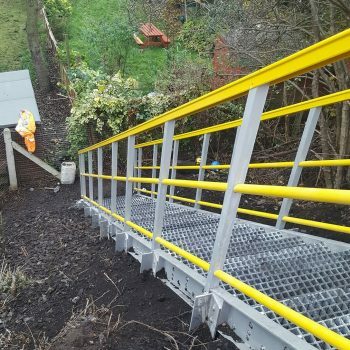 GRP is lightweight, again in comparison to traditional materials, therefore can be carried into areas that it may be difficult to access and enables rapid installation without the need for heavy plant equipment. 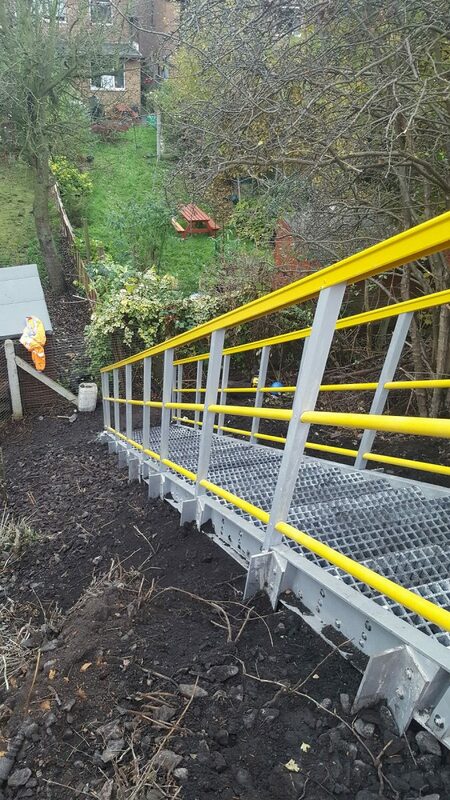 We custom make each set of stairs according to your specification, with supporting technical drawings and data. 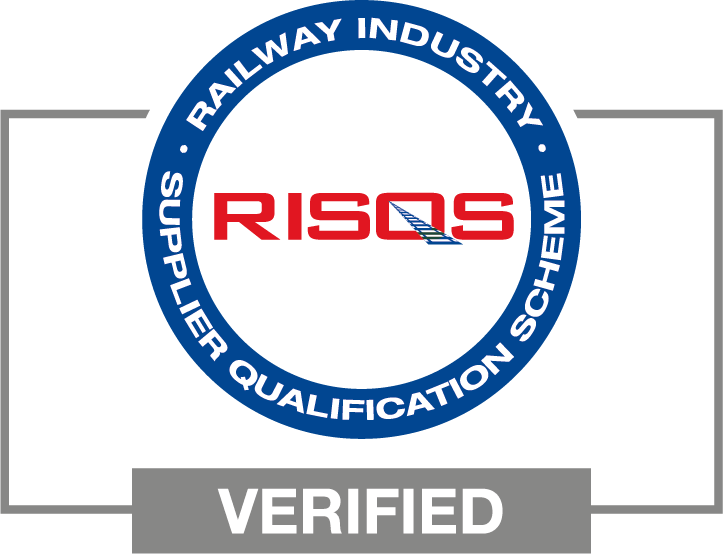 For further information or to discuss your project, call us on 01757 212744.